There are three ways to update your contest plugin. ■ Will my data be saved after update via Plugin Admin/FTP? ■ What I must do after plugin updated? Please navigate to Photo Contest => Settings, check is all correct and click Save. The same with active Contests settings & Forms. Required: After go to Dashboard => Settings => Permalinks and click Save. ■ My license is active, but I got an error “Update failed. Update package not available”. How to solve this problem? Please contact to support with indicating your current plugin version. 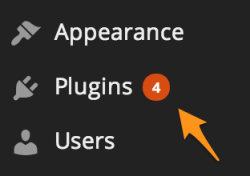 When you log in to the admin of your website, you may see a number next to ‘Plugins’ in the menu. This indicates the number of updates that are available for your plugins. By clicking the ‘Update now’ link, your plugin will automatically be updated to the latest available version. Video tutorial – how to update WP plugins. Next – follow this instructions. Navigate to Dashboard => Plugins => Add new, click “Upload Plugin”, select plugin .zip and click “Install now”. If your WordPress admin doesn’t show the available update or if the automatic update doesn’t work, you may want to manually update your free plugin. Extract the downloaded wp-foot-vote.zip file. With your FTP program, upload the extracted plugin-folder to the wp-content/plugins/wp-foot-vote folder in your WordPress directory online. All settings will be saved, so you will not have to reconfigure or activate the plugin again. But please check that plugin is active in Dashboard => Plugins. ■ My license is active, but I got an error "Update failed. Update package not available". How to solve this problem?